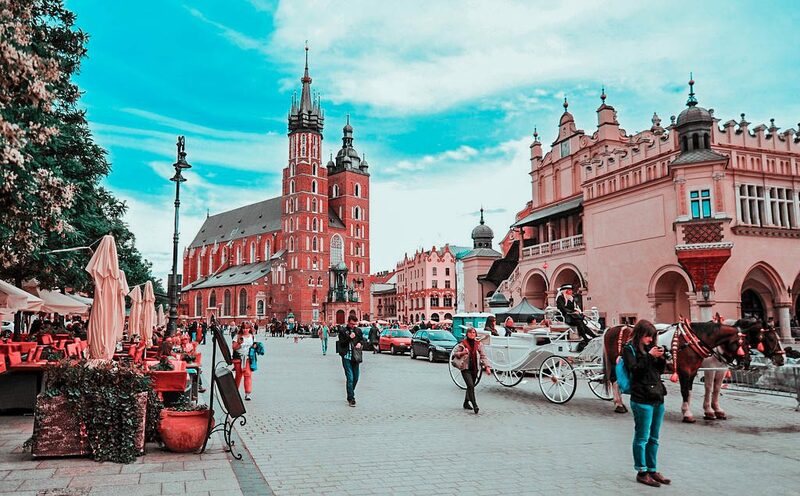 If you only have time to visit one city in Poland, make it Krakow. This city is rich in culture and history, it has beautiful architecture, it’s super cheap and it’s fun. Krakow also has interesting and key places to visit nearby, one of them being the hard to digest but not to be skipped, Auschwitz. 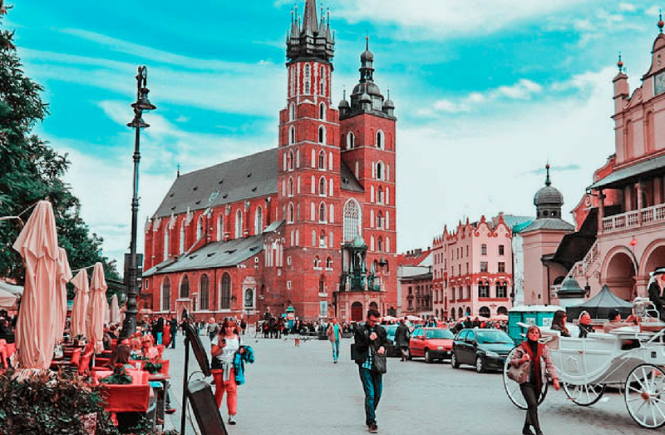 Below I outline the best things to do in Krakow, as well as accommodation and transportation tips. Make this the first thing you do. As soon as I got to Krakow I did a free walking tour of the Old Town. The tour guide was super knowledgeable and took us to many beautiful sites including the Main Market Square & St Mary’s church, Cloth Hall and Townhall Tower, the remains of medieval city walls with Barbican and St Florian Gate, St Francis Church, Bishop’s Palace, the Papal Window, Wawel Hill, Wawel Castle and Wawel Dragon. I ended up doing a bunch of free tours in Krakow with the same company, they always had Polish guides which made a lot more authentic. A few years ago, I went to Poland but just to visit Auschwitz. It was a great learning experience, but I really thought I had to give Poland a proper chance, one which wasn’t only around one of the most terrible events in human history. So I arranged a 5 day visit, and one of the cities I chose was Gdansk. This Baltic city is full of historic intrigue: it was a Hanseatic port, a free city, and the place where the Second World War began. 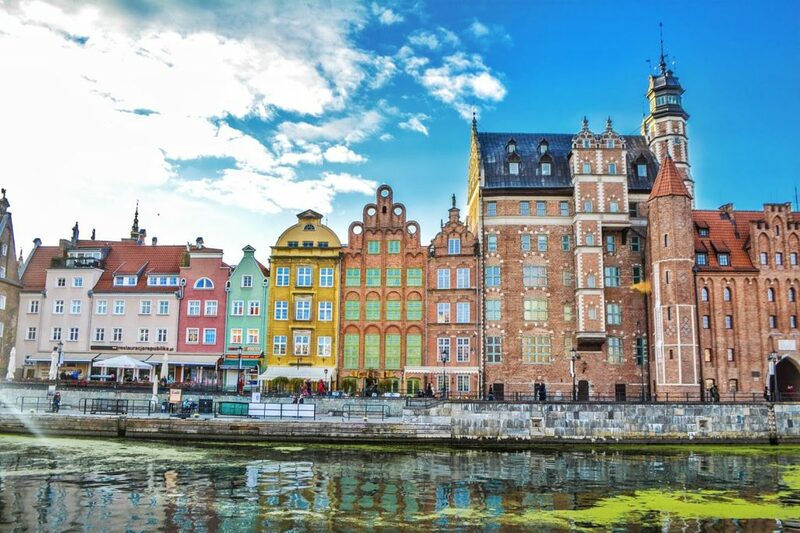 Gdansk is the dominant section of what’s known as the Tri-city which is comprised of Gdansk itself, the coastal spa resort of Sopot only five miles north, and the modern port of Gdynia an extra three miles beyond Sopot. Gdynia and Sopot are also worth visiting, if you do have time, and you could even visit them both in a day. They are connected with Gdansk by the yellow and blue SKM trains, which operate from Gdansk Glowny train station.